Labelled, one of the most superior and intuitive Editors on the market today – FIND out WHY! As you would expect, it works seamlessly alongside other Thrive products and has the full capability to recreate practically any design. A free option is not available; however, it remains on the cheaper side of the Editor’s price list, within the current market. Overall, it is an intuitive builder, however, in places, it is in need of some minor interface tweaks. Thrive isn’t renowned for offering the best support, but it has promised this will change in the foreseeable future. Does this latest version from Thrive surpass expectations? How has it improved from Thrive Content Builder? Here at Entrepreneurs Gateway, we put our money where our mouth is. Our runner up WordPress Editor is Thrive Architect, and yes you could say we’re impressed with it. good, not so good and the altogether bad of Thrive Architect. The Editor we’d all been waiting for since first hearing rumors back in October 2016 was finally here! Although the well-known ‘Thrive Content Builder’ became the go-to standard within the marketing world, users were still experiencing bugs, design and editing limitations, including cartoony visual displays, etc. Within the Editor market boom, it wasn’t long before acknowledged ‘superior alternatives’, become available. Now that Thrive are guaranteeing a much-improved version, it’s an opportunity for the plugin to make a return and certainly win back our interest and the loyalty of countless online marketers. If I was to say, I’m excited about exploring this new Editor – it would be an understatement!!! I will share my experience with you as I use this WordPress Editor, together with all the things I love, like and dislike! Thrive Architect is very much a ‘what you see is what you get’ WordPress Editor – and there’s nothing wrong with that. The new content creation platform is a clear, clean design. This allows much better content creation. There is no doubt that this is a substantial upgrade. If you’ve been around Editors for a while, you may notice that the interface of Thrive Architect is strangely familiar. Do you recognize it?? It seems to me it’s inspired by Elementor. Which isn’t necessarily a bad thing! As somebody who quickly ‘clicked’ with Elementor, I’d say the main reason for this similarity is down to the layout of the interface. It’s discerning, comfortably clean and best of all it works. Having sleek aesthetics is one thing but let’s look into the usability ease of this new interface. Getting your elements onto a page works precisely as it did before. Either drag and drop them into your chosen location or just click and they appear at the bottom of the last section. Easy! So, you can see when dropping an element into the page; the sidebar panel switches automatically to element properties – such a neat feature. This is a vast shift from Thrive Content Builder, where any changes made to elements was in an invasive, unhelpful floating window – it’s so much better now. Here you can control a variety of properties for all elements, in addition to a few more advanced features not found within other Editors. Something I don’t like is Thrives’ current sidebar; there are too many choices stacked up, one on top the other, I find this frustrating. Elementor, for example, conveniently breaks up properties into different tabs, meaning you don’t have to endlessly scroll to get the element you’re looking for. It may not seem major, but when just a few of Thrives’ options are expanded it instantly feels cluttered. Thankfully, however, not everything is navigated from this sidebar. When using Thrive Architect, you can directly edit text inline, plus you can apply additional formatting. I would now like to highlight, just how much the element selection has improved. Using Thrive Content Builder was often difficult and time-consuming. Far too much was going on in such a small space. Now, however, Thrive Architect uses what I refer to as ‘breadcrumbs.’ This is a visual trail of your navigation, so you can easily find your way back if you need to. As handy as this is, it would be advantageous to disable or hide it, giving more space on the screen – something I’m sure a lot of users would prefer. Which leads me neatly onto the next section…. What are the brand-new options and settings? There are several new settings within the individual elements together with upgrades to the page-level, as well as configurations on the builder-level. Just as before, you can choose the side you want your sidebar to sit. However, unlike Elementor, expanding or contracting the sidebar isn’t available. It’s not necessary in Thrive Architect as you’re able to edit the text inline. You still retain the ability to edit the page’s HTML and CSS directly– yes, finally the Editors have been brought up to speed with the modern tech world! In my opinion, and I think you’ll agree with me, this is a welcome improvement, as Thrives’ earlier HTML and CSS editor drove me crazy. It does get better though…. Thrive Architect has now updated ‘Page Events Manager,’ allowing you to add page-level events quicker and easier than ever before. At present, this can be used in triggering pop-ups created with Thrive Lightboxes,, included in Thrive Architect although you can be sure we will see additions to this events manager soon. Regarding the secondary menu “Template Setup” there’s not much that you haven’t seen already. Page settings now include new features like custom scripts, fonts, and content width, which, for us is great news. This was a huge issue when previously using Thrive Content Builder. It really was a pain controlling the content width on page-level. Now finally, we have some control options at the very bottom of our sidebar. Fortunately we still have the undo/redo option. What is new and exciting is the option of using the shortcut/hotkeys Ctrl+Z and Ctrl+Y for these actions. Amazing how a small change makes such a big difference in output productivity. It’s certainly the little things that make life easier…. Furthermore, if you click on the small arrow within this panel, it will collapse/hide allowing you to see more in your page preview. I first experienced this when using Elementor, and I wouldn’t be without it. Of course, Thrive Architect goes that bit further. Although I refer to it as an easy way to “preview” your whole page, guess what, you can continue to edit the page inline…exciting right! Honestly, I just can’t gush enough about this. This was one of, if not the biggest problem with Thrive Content Builder. Although it was responsive, it often didn’t quite get it right when it came to mobile devices. I never once blamed Thrive Content Builder for being unable to adjust my design accurately for every possible display – that would be virtually impossible. Don’t despair- Thrive Architect has dealt with this. Now you can see the responsive design in the builder, both mobile display, and tablet. This is definitely a big tick in the box for this one. As you continue to edit and build your design in the responsive view, you discover there are specific changes that will only apply to mobile devices, thus leaving the desktop unaffected by any of the amendments. This is known as ‘cascading’, meaning changes on your desktop will also reflect on both a tablet and mobile but any changes you make on a tablet will only affect mobile and tablet. Effectively meaning, I can make a color overlay to my image on mobile view, and this will not change the design on my desktop. Definitely an improvement!! Sometimes, it makes no logical sense to show every design element through a reduced display, as things tend to get, a bit crowded, to say the least. Up until now, you would need to be a CSS guru to resolve the issue. This is where Thrive Architect ‘borrows’ a little more from Elementor again. With a simple click, you can now hide individual elements entirely, depending on what you want to be displayed on each device. A bonus is being able to keep the hidden elements visible in the Editor itself, as and when you need to. Thrive Architect has made a huge leap forward compared to, what was before, quite a limited Editor when it came to user-friendly responsive design. The layout is the foundation of any design so by working with the wrong Editor; your desired outcome will be impacted. Having said that, how does Thrive Architect perform? Compared with Elementor, a lot differently! Elementor keeps its elements in different sections, whereas Thrive Architect is a lot more user-friendly and fluid. Essentially, elements don’t have to be restricted. You can drag them to your page in whatever way you like. Sections are unnecessary. Should you need a basic column layout, this is easily implemented by adding the column element. You don’t need to plan ahead either! By dragging an element into the required position, it automatically creates the column layout. It doesn’t get much easier than that!! Thrive is way more helpful. With Thrive's easy to use drag and drop feature, event the more complex layouts of your website are simple and fast! Columns are automatically spaced out evenly, however, you can still get access to begin making your own dimensions come to life. As I mentioned before, elements in Thrive Architect don’t have to be contained in sections, but sections are useful for certain situations. Don’t discount them altogether! The benefit of using background sections is that it can contain many smaller elements on one single row. I do need to point out though, that many of the properties will be found in other elements, for example in column and content boxes. These properties, which now have the column element, allow it to design a layout (formerly unheard of with the old Thrive Content Builder). This demonstrates again how much of an improvement this is from the previous version. In this section you’ll discover how comprehensive Thrive’s Element Library is. Up till now, we’ve focused on how Thrive Architect operates on a basic level but not really on the individual elements. If you were expecting a whole library of brand new elements – then I’m afraid that you’ll be disappointed-there are none. The fact is that a few of those pre-styled elements have left us, such as the pricing tables and guarantee. It is sad but what can you do? It is what it is. While some of the elements were not pulled through with the transition into Thrive Architect, elements which have made it through have been noticeably overhauled. In the old Editor, you had to go through a completely separate interface to select any of your icons, one was even outside of the Editor itself! Plus, you were also limited to just a small selection of free icons to use. Thankfully, this is no longer the case. Hurrah! Thrive Architect has moved away from that awkward icon manager, giving you fresh access to lots of free, searchable icons within the Editor itself. The Properties of the icons have also had an upgrade, including additional properties such as background patterns and shadows which we can take advantage of. Previously, styled lists were equivalent to a migraine inducer. The first hurdle was the limited option of only 6 styles to choose from, which meant that there were only 6 different “list icons” to use. To make the migraine even worse, there was a choice of only 8 colors- yes 8! Changing the actual size of the icons was an absolute nightmare, as the icons were in fact images. As mentioned previously, Thrive Architect enables you to select from the icon library which is then displayed in your style list, making a massive difference. Additionally, if you want to, you can change the color and the icon for each of the individual list items. For me, the most beneficial feature was rearranging your list items in any way you want with a simple drag of the element! For most Thrive Content Builder users, the buttons were another important issue. Previously, button sizes and styles were seriously limited. With this latest version, however, you can create your unique color and style from scratch. Since the first release of Thrive Architect, there have been changes made to their button element, making the whole adding and amending that bit easier for everyone. They have also changed the size slider-control, which now has a pre-set for your size options and enables unique styling of all the button icons. Buttontastic! You now have access to the panel options, such as rounded corners, gradient backgrounds, line height, shadows and letter spacing. There are also additional settings such as video popups. Previously video popups were made using Vimeo embeds, but now, thankfully, YouTube is supported as well. Here is the best example of all – I’ve been keeping the best till last!! The table element shows a noticeable upgrade and finally provides an alternative to using TablePress. Seriously though, the table element is the pot of gold at the rainbow’s end of Thrive Architect. These are the core changes. Nearly ALL aspects have been noticeably improved, and as I mentioned earlier, the side panel offers so much more control. I’m that excited; I should have done an entire review just on this element!! I’ve only covered some of the element upgrades and would like to emphasise that every single element has been upgraded in one way or another. Some elements are not that different to previously, but just having full control over the ‘small things’ makes a massive difference to how you achieve results. 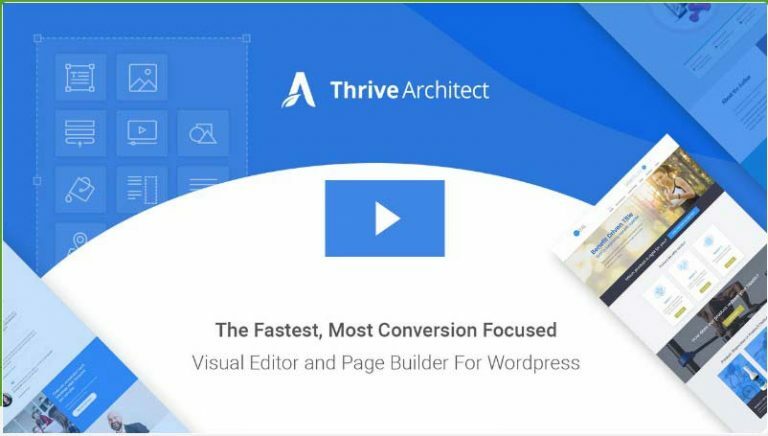 Check Out The Definitive Review & Tutorial for #ThriveArchitect #WordPress #Page #Builders Plug-Ins and take control of your website! In this section you’ll discover what templates are available in the Thrive WordPress Editor. Does Thrive’s templates display your website’s dynamic content in certain ways so that your customers will keep coming back to your site again and again? Let’s start with content templates….. The ability to save each section of your content to allow for reuse later has always been included in Thrive Content Builder. However, it was incredibly bad at organizing it. The templates couldn’t be categorised or previewed, and there was always the constant worry that you could inadvertently delete something without knowing what it actually was. It wasn’t a pleasant experience, and was something that Thrive Architect needed to address. Which it did – the categories are now there, which is a great start! Once the template has been added , you can save and use limitlessly throughout your pages. Another useful addition is that there is now a search box. You’re probably wondering, how I manage my templates? You have access to your very own template library; located in the backend of the site. From here you can preview and organize all of your content templates. It is, without a doubt, way better than before. The only drawback is, it would be so nice to have the ability to preview or even delete templates from inside the Editor itself. This is only a small hindrance, and is not the end of the world. I did encounter a problem though, the content templates that are still being used, don’t work anymore. Hopefully, this is something that will be fixed in the not too distant future. I would also like to see global elements being included. If those elements could be edited or styled from one area – that would be a serious benefit. Other Editors support this, and Divi goes further with its Selective Sync. Sadly, none of this can be found in Thrive Architect, but I am quite sure it is on their to-do list. OK, that’s the content done, so how about the full-page templates? As I said before, Thrive Content Builder has been bundled alongside Thrive Landing Pages which is an all singing, all dancing library of landing page templates. What about in Thrive Architect? At present, there are only a small number of templates that have been added to Thrive Architect from Thrive Content Builder. However, it’s not all bad, as they have begun to add a whole load of newer and improved template options – hopefully with more to follow. It’s not there yet but, it is looking promising. From what they have said (see quote below), it is clear to me that a lot of their focus, moving forward, is around the templates. It has to be said that Thrive Architect isn’t just a little bit better than Thrive Content Builder, it is a brand spanking new plugin. With this in mind, it’s not unreasonable to have concerns over any current or potential compatibility issues. Let’s start with the positive; Thrive Architect is backward compatible which means it will and does work with just about anything you have previously created in Thrive Content Builder. Phew!! Opening up an old page that was built in Thrive Content Builder will still work perfectly in Thrive Architect, keeping everything exactly as it was. You will, however, need to transfer some elements. The element still looks pretty much the same as before, but now you can edit it with Thrive Architects all-embracing properties panel. They have done an outstanding job on transitioning all of the elements found in the old version to the new, but it is not entirely seamless. Initially, you will probably see a slight change in the positioning/location of your elements after the migration. As I said before, not everything is editable. Pre-styled elements haven’t made it yet to Thrive Architect. Things like pricing tables and guarantee boxes will have limitations. Hopefully not for long. There have been a few reports of some serious bugs as a direct result of the transitioning from one to the other. This is a problem most Editors have when it comes to deactivating or removing content from their site. The problem is that pages built by the Editor instantly fall apart. Thrive Architect isn’t like that. In reality, no Editor will be capable of fully preserving your content because WordPress’ Editor cannot handle anything complex at all. Fortunately, though, Thrive Architect, can considerably reduce the damage limitation. The style settings and layouts are automatically corrected, enabling a clean, usable layout within the default editor. It should be noted, that there are very few WordPress Editor plugins capable of this! Should you be at all concerned about content lock-in, don’t be! Of course, it’s always advisable to edit your site after deactivating any content builder. Thrive Content Builder always displayed WordPress content at the end of the page or post. You were unable to edit it, unable to move it and couldn’t even add anything after or below. The entire thing was rigid and not at all user-friendly. How Thrive Architect deals with WordPress content has really improved. Instead of needing to exit the Editor, you can open up your default editor from within Thrive Architect itself. What’s even more convenient, is you can now move your content block seamlessly between the Thrive Architect elements. This change takes away the headache from having to edit existing pages untouched by other Editor’s hands. Once you have purchased Thrive Architect, you get customer support included free of charge for 12 months. You can renew this each year, for a small fee, but the plugin is yours for life. Another option is that you subscribe to Thrive Membership for $19 per month. This will include all the current and any future themes and their Thrive plugins as well as all the support you need. You can purchase Thrive Architect for a one-time fee of just $67 (this is for a single license). The features that you get with the page builder are worth so much more than this price. It’s FANTASTIC VALUE! Should you wish to have more than 1 license – prices are $97 (up to 5 site licenses) and $147 (up to 15 site licenses). This price also includes support for 12 months, giving you the option to renew this each year. Another option is that you subscribe to Thrive Membership for $19 per month. 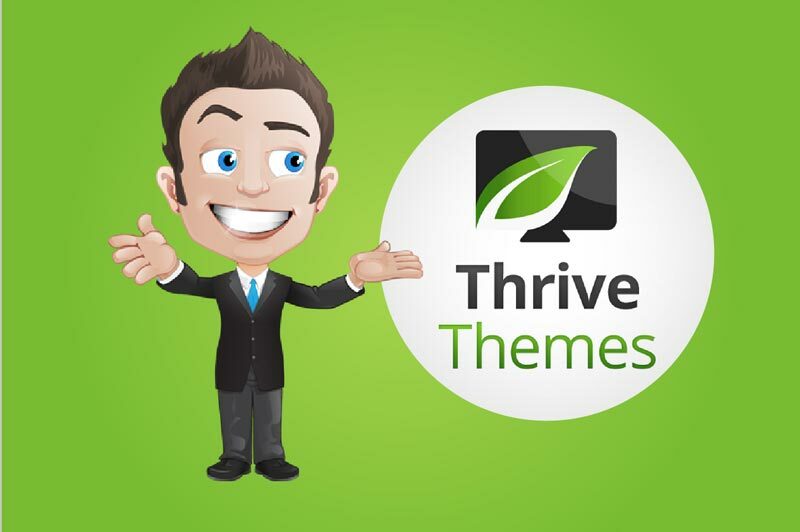 This will include all the current and any future themes and their Thrive plugins. We took each Editor and used it to rebuild our own home page to see how well it performed. This method was to give a more accurate judgement on the tool and to see how effective it was. Being able to set a gradient background was critical to just one small section of my build. Thrive enabled me to create the 2-color gradient using minimum effort. As with most things, there’s always going to be bugs, which I expect will be resolved in due course. Is Thrive Architect - The Right Editor for You? I’ve covered most of the different functions and features of Thrive Architect, listing all the likes and dislikes and sharing my experience with you along the way – so what do you think? As always with any tool, Thrive Architect isn’t for everyone, so I’d like to outline who precisely this Editor would be suitable for. Thrive, as a company, is known for being very reasonable with its product pricing. Apart from their onetime costing, Thrive also offers a membership option which gives you full access to all of their themes and plug-ins. Thrive Architect does not offer a free plan, and this doesn’t appear to be changing anytime soon. This loses it some points for not being accessible to the budget-friendly builder department. However, their one-off charge is still a worthwhile investment, assuming you can afford it, particularly given how ROI focused the Editor is compared to others. Would this be the best WordPress Editor option for the budget-conscious marketers? My testing and comparing of results found the only Editor that comes close to Thrive Architect in each of the categories is Elementor. See our full review of Elementor here. Should funds be tight, I’d recommend going for the free Elementor plan, then perhaps, switching over to Thrive Architect, once you have gained more skill, and are ready to invest a bit more into your business. Although Elementor PRO is less expensive than Thrive Architect, I would recommend, if possible, extending your budget and getting something more tailored to marketers – Thrive Architect. 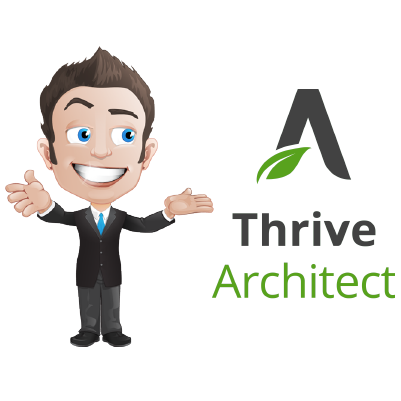 Out of all the Editors that I have reviewed, Thrive Architect was hands down, the simplest to use. For absolute beginners, I would recommend Elementor’s free trial, as this is the closest to Thrive and will teach you the Editor ropes before committing to a fee-paying one. For someone just starting out, I doubt you’ll be interested in some of the more complex marketing elements that Thrive Architect offers, which is why I’m also a little reluctant to rate it above Elementor for this group. Because you are reading this, it is likely that you’re already an online marketer, and are looking for an Editor with strong ROI – something which Elementor lacks and which Thrive does exceptionally well. If you are already sure of what you want and are looking for an Editor to enhance all your online marketing capabilities, then I would seriously recommend spending that little bit more and starting with Thrive Architect. This is where Thrive Architect outshines other Editors. If you are at all knowledgeable with Thrive and their goals you will know that they set out to create and supply a complete suite of tools for your marketing. It is all about making these tools relate to each other in such a seamless way, a way that you don’t get with other mix-and-match systems. For example; do you want to be able to collect emails from your website? Obviously, you do, Thrive Architect integrates perfectly with Thrive Leads. Do you want to be able to produce and activate an evergreen marketing campaign every time someone opts in on your email lists? 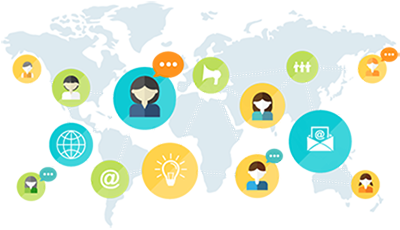 Thrive Ultimatum has seamless integration with Thrive Leads also. Is it all starting to make sense? Are you on board with the Thrive Architect ethos? serious about successfully marketing your business, then you can’t fail to be impressed with the possibilities through using Thrives’ suite of marketing tools. We know it’s still early days for Thrive Architect, but nobody can deny it’s already a serious contender within the WordPress Editor market – one to definitely watch. We were sold in, and we haven’t looked back! More importantly, the power of this Editor is only increased by the ability to efficiently, and seamlessly interact with other Thrive products. Currently, this is something that competitors don’t even come close to. 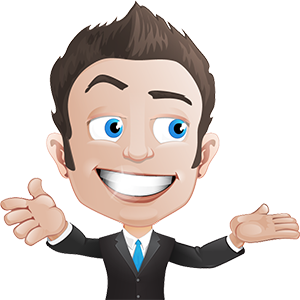 If you are serious in your desire to build up a profitable website, (and who isn’t!!) 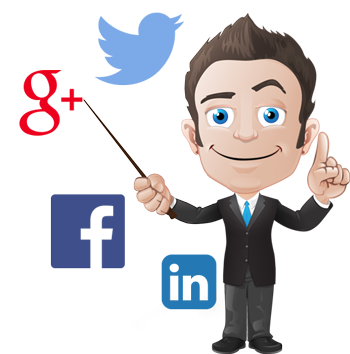 Thrives’ suite contains a range of the best products available in the online marketing sector. Your Editor is a critical component as to how these tools will work, and help optimize your profits. Despite a few features, such as unavoidable bugs and a few subtle user interface inefficiencies, all in all, it is quite an impressive review. I’m looking forward to seeing how this will develop over the up and coming months. I strongly recommend giving Thrive Architect a go, and with a thirty-day money back guarantee, what is there to lose? Are you going to purchase Thrive Architect or are you already using it? Feel free to leave a comment below and we can see if I can help…. or check out the other reviews like Elementor!